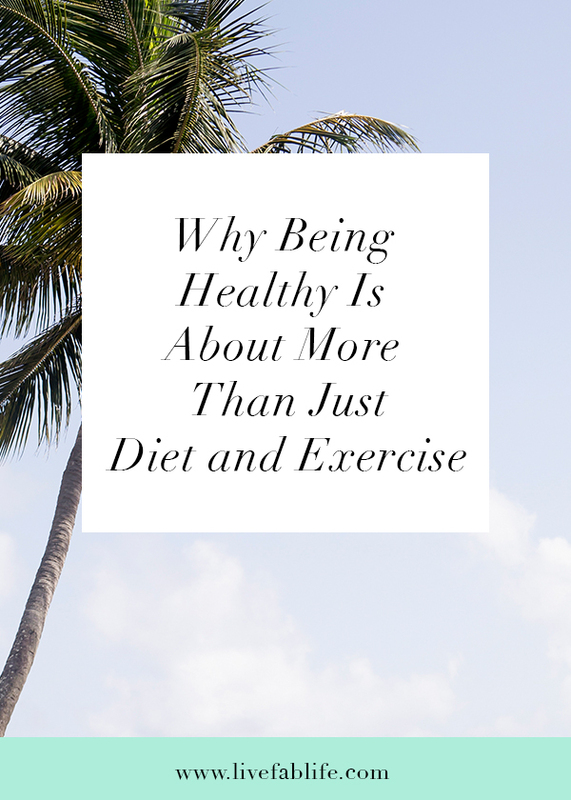 A happy, healthy life is about more than just the food that we eat, or the amount of exercise we get. It's about who we are, what we love, and what fulfills us. It's about love, our relationships, our career, our dreams, our goals, and our spirituality. I refer to these aspects of our lives as "primary foods." You can have the healthiest diet in the world. You can exercise every day, but if other areas of your life are out of balance, you won't feel your best. You are likely to even feel a bit lost. I experienced this myself a few years ago. I had just started training for marathons and was in the midst of a training cycle. I was running dozens of miles every week, yet had the worst insomnia. You would think that with all the miles and hours of hard workouts I would sleep like a baby! I tried every remedy that I knew. I drank herbal tea, shut off the television at least an hour before bed, took hot baths, but nothing worked. I couldn't figure it out. I ate as clean as one could eat, was going to bed at 8:30-9:00 pm every evening, and yet I could never get a decent, restful night's sleep. When I didn't know what else to do I started seeing a therapist. My therapist had complete a series of standard blood tests run to rule out any major health issues and they came back "normal." So my therapist asked me to start journaling. When I started writing things down and taking notes, I became more mindful. I began to noticed correlations between work events and my insomnia. I realized that dilemmas at work were causing me stress. And I didn't even realize it! While I was certainly aware of awkward situations at work, I didn't realize the impact of it was having on my overall health and well-being. Once I made this connection, I was able to create an action plan to remedy the situation (as much of it as I had control over). I spent the next few months consciously creating a workplace environment that nourished me. When I was able to do that, my sleep improved and the quality of my life got better. When we are not fulfilled in other areas of our lives, the void is all too frequently filled by food. Food is really just one source of nourishment. I refer to food as "secondary foods." Secondary foods nourish our bodies. But they do not provide us with the kind of joy and fulfillment that primary foods do. We yearn for successful careers, fulfilling relationships, creative and spiritual freedom, etc. These are the types of things that determine how full and worthwhile our lives feel. When we use secondary foods to make up for our lack of primary foods, we become out of sync with our mind and body. Having an unhealthy relationship with food can lead to problems with obesity, eating disorders, or even chronic illnesses like heart disease, diabetes, and possibly even cancer. When life feels hectic, your energy is typically focused in all different directions. It's easy to find yourself off balance, not paying enough attention to the needed areas of your life. Many of us are stressed and run around in circles. We rarely take the time to take inventory of where we are and where we want to go. Years go by and one day we find ourselves asking, "How did I get HERE?" That's why it is useful to make the time to take a look at your life. Consider each area of your life to assess what might be off balance. Then, look at the areas that need more attention. Take notice of the areas that are feeding you and for which you are grateful. When you have identified the areas that need attention, it's time to plan your next steps. It's time to regain balance, reduce the stress, and feel more fulfilled so you can truly enjoy your life. Make a commitment to these actions by writing them down once you have set your goals in place. We all want loving relationships, meaningful work and optimal health. We all want to experience laughter, joy, adventure, fun and purpose. When we can focus on what truly makes us happy everything will fall into place. What is that feeds you? What do you love doing? What do you look forward to the most? When are you the most happy, energized, balanced, at pace, joyful and fulfilled? Think about what that is for you and how you can create that.